From the inside flap: Georgie McCool knows her marriage is in trouble; it has been in trouble for a long time. She still loves her husband, Neal, and Neal still loves her, deeply — but that almost seems beside the point now. 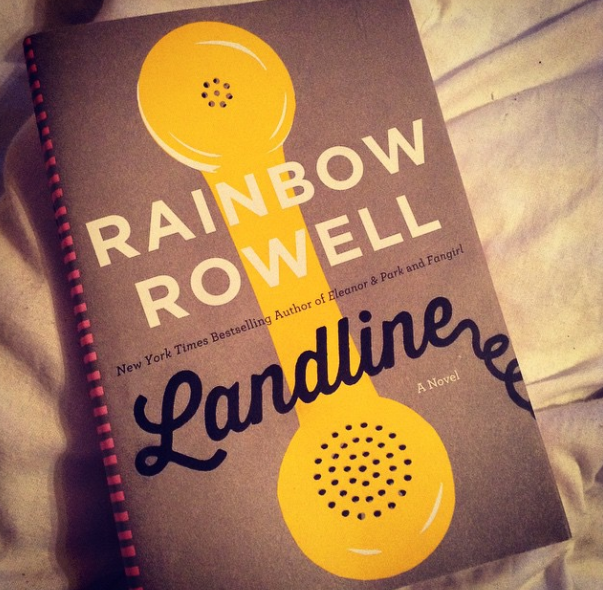 Review: This was my third Rainbow Rowell book and I have to say I was a little disappointed in it. There is so much hype behind her books that I kind of expect amazingness. This just fell short of that. Maybe because the characters in the book were married and older than I was so I couldn’t relate to them. Or maybe I just wasn’t too thrilled with the characters in general. In my opinion, the issues that the pair were having were juvenile. It seemed like a high school relationship with children added to the mix. What I did enjoy was how the story was told. You’d get snippets of their past mixed in with the present. I also found the concept of the “time travel” landline very interesting and original. Rowell’s writing though is amazing and easy to read as always. I just wasn’t feeling this one. I’d definitely recommend this book to anyone who’s a fan of her writing and hasn’t picked this one up yet. This entry was posted in book, landline, rainbow rowell, review. Bookmark the permalink.